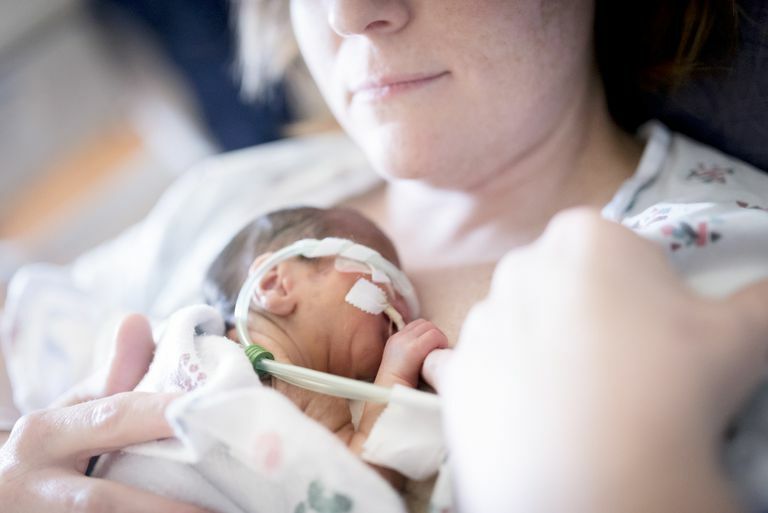 Developmental care is a strategy used in neonatal intensive care units (NICUs) to help reduce the amount of stress that a premature infant is exposed to. Since NICU units can be loud, bright places where alarms and blood draws make it hard for babies to rest, grow, and get better, developmental care helps NICUs be more "baby friendly." Using developmental care in NICUs may help babies grow and get well faster and promote brain development. Developmental care helps make the transition from womb to world a little bit easier for premature or sick infants. Developmental care has been shown to reduce long-term cognitive and behavioral problems and decrease mortality rates. According to a recent review of studies in the Cochrance Database of Systematic Reviews, developmental care has been shown to "[improve] short-term growth and feeding outcomes, [decrease] respiratory support, [decrease] length and cost of hospital stay, and [improve] neuro-developmental outcomes to 24 months corrected age." While it may seem like you are not a part of care in the NICU, your cooperation with nurses and doctors supports the developmental care they seek to provide. By honoring the time periods and type of touch allowed in the NICU, you are supporting your child and being a part of the medical team care for your child. Collaboration is key to ensuring that your baby becomes familiar with you, but also that any kinks in care do not result. As long as you do your part to follow the guidelines set for you, your family, and your preemie, things can go smoothly. Use some of the tools you've learned in developmental care when your baby is ready to go home. Your baby may have spent a considerable time in the NICU and maintaining the schedule and environment created with some modifications is best. By easing your baby into home life, you allow him or her to be less stressed as was the goal of developmental care in the NICU. Hospital life can be daunting, but developmental care is meant to make it easier on parents and preemies. Just as you had help 24-hours a day in the NICU, you may initially arrange for family, friends, and home nurses to assist you in caring for your preemie. You may feel overwhelmed to care for your baby alone, after having had so much guidance with the NICU.